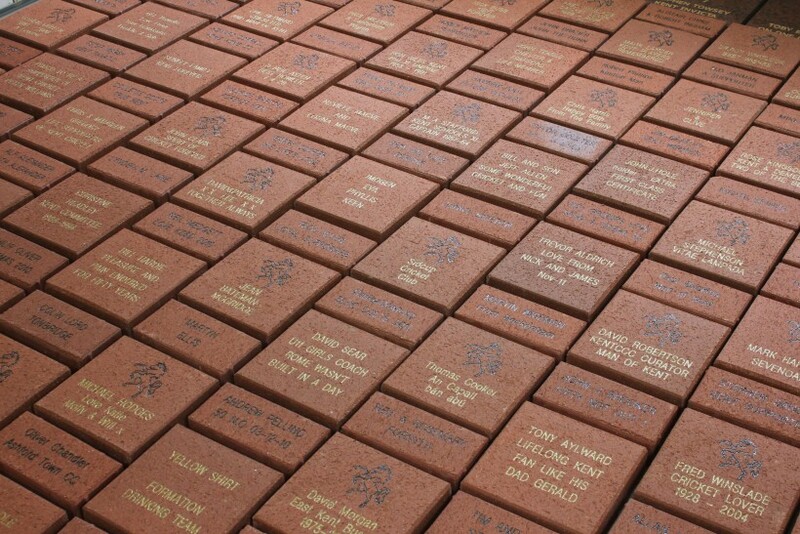 The first bricks which will form part of the Kent Cricket Legends' Walkway have now been produced. Although they are yet to be put on permanent display, we have obtained some images to give you a sneak preview. Oncecomplete, the Legends' Walkway will mark the historic redevelopment of the St Lawrence Ground, home to Kent County Cricket Club since 1842. This will form the central entranceway in the bottom tier of our new public square. You can be a lasting part of this landmark by purchasing your own Paver and joining some of the legends of Kent Cricket, as well as fellow Members and Supporters. Pavers are available from £50 for a single Paver, which can be personalised with your choice of text. There are a range of options available up to the top priced 'Kent Stone', crafted in African Red granite with two lines of gold engraving. As part of the Club's ongoing support of Demelza and their work in the community, 10% of the gross revenue from Paver fundraising will be donated to the charity. If you purchase a Paver, not only will you immortalise yourself at the St Lawrence Ground and show your support of Kent Cricket, you will also aid in the care and support of life limited children and their families.